Today, the annual Geneva Summit for Human Rights and Democracy is bringing together the world’s top international diplomats, human rights victims, activists, and journalists to highlight urgent human rights abuses. And the main focus of this year’s event is women. Reflecting on a year in which women have fallen victim to widespread sexual violence, censorship and oppression, the 2-day event will inspire delegates with powerful presentations by top-name human right’s heroines from North Korea, Cuba, Pakistan China, Russia, and Iran. The event will also feature everything from first-hand testimonies from women who have escaped sexual slavery to female activists risking their lives to speak out about human rights abuses against women in Iran, China and Saudi Arabia. Marie Claire caught up with two of the main speakers. 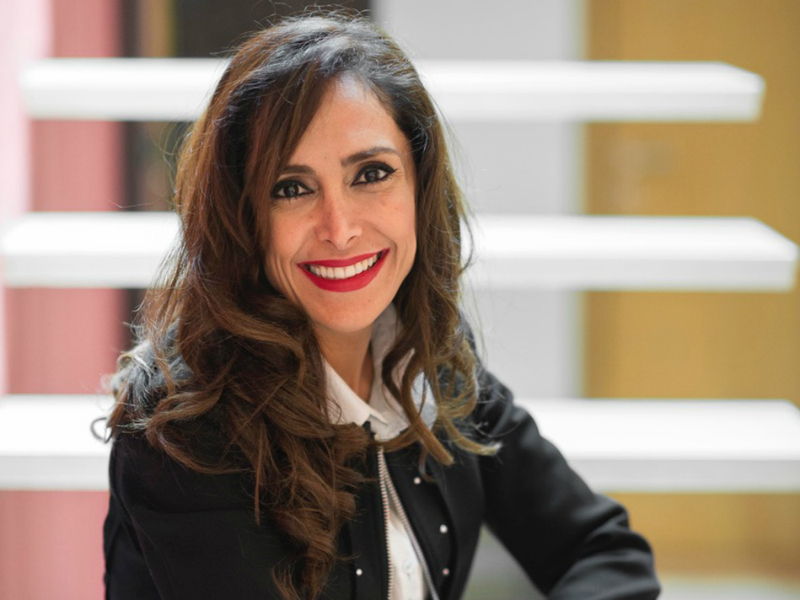 Darya Safai grew up in the Islamic Republic of Iran and was imprisoned in 1999 after being involved in a bloodily suppressed student protest against the religious dictatorship. After being granted temporary bail, she fled to Belgium from where she now campaigns on Iranian women’s rights. Her protests at football matches around the world : ‘Let Iranian Women Enter Their Stadiums’ has been widely covered in the international press. Why are you at the summit? Every year the situation in my country of Iran gets worse for women and this isn’t an Iranian problem, it’s a problem for all of us. There is a perception that things are getting better there. But the opposite is true. In last two years the government of Iran has made 3 million secret files on ‘disobedient’ women all over Iran who they feel do not meet the proper clothing codes because they do not wear their hijabs properly. Last summer there were 40,000 cars confiscated because the female drivers or female passengers were deemed to be not wearing full hijabs. Iranian women don’t have the right to divorce; our rights to study at university full time have just been reduced so we can only go 50% of the week and many subjects are forbidden for us. We can’t work or travel without the permission of a husband and are banned from sporting events. What message will you be hoping to get across in your speech today? I want to make people realize that the problem of oppression and suppression of Iranian women and other women in Muslim countries is the whole world’s problem because extreme Islamism has the discrimination of all women as its keystone. World peace is threatened by extreme Islamism so fighting for women’s rights in these countries is in turn fighting for the everyone’s rights long term. The more equality in the law and in society, the more that our collective societies advance -in economy, industry, science and in every way. Iran isn’t someone else’s issue, it’s an issue for all of us. Anastasia Lin has been termed ‘The Badasss Beauty Queen’. 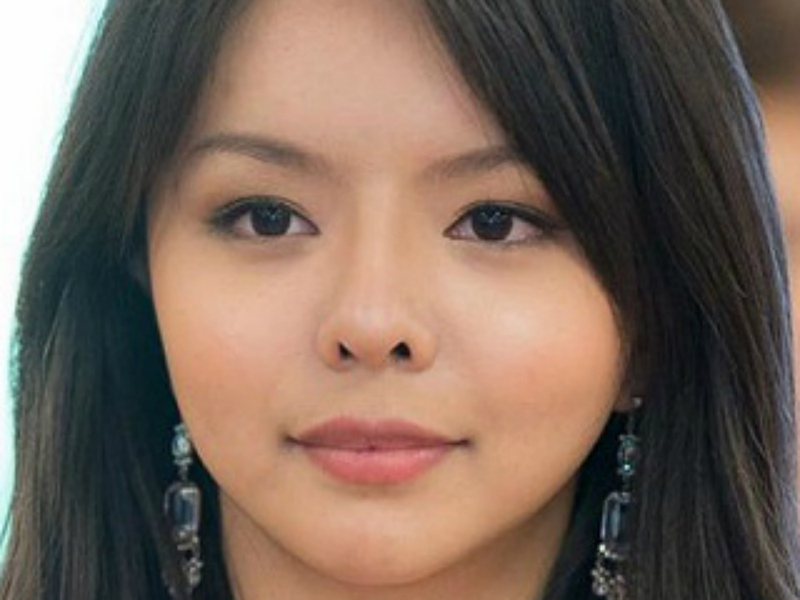 She is currently Miss World Canada and uses her international platform to highlight human rights abuses in her native China, where she lived until the age of 6. 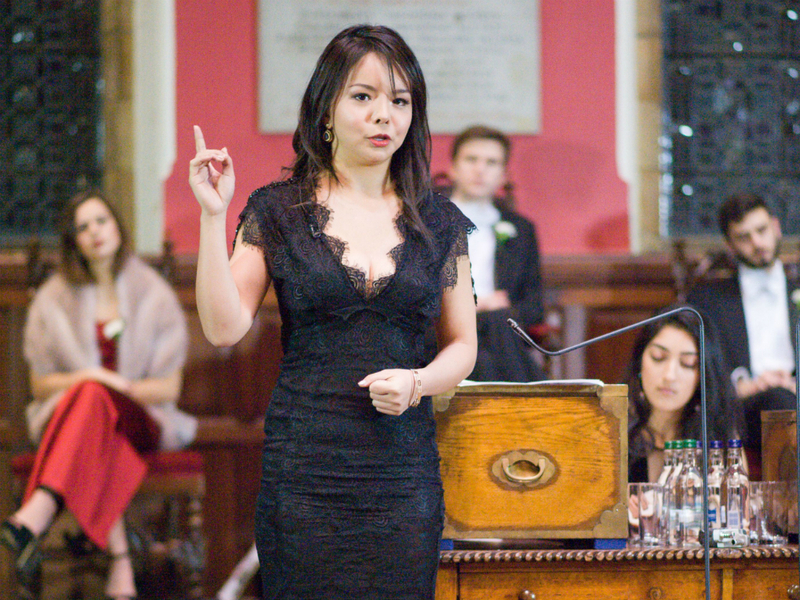 A beauty queen taking on China’s human rights record. How did that come about? I’m an actress and a beauty queen but got into the realm of human rights after working on a film that focused on human rights issues in China. Most Chinese actors are too scared of reprisals to take roles in controversial films about human rights abuses. They face threats, or being denied access to their homeland. Because I was at theatre school in Canada I jumped on these opportunities and so more of them have come my way. Through these films I’ve had the opportunity to meet with victims and witnesses to serious human rights abuses in China surrounding the persecution of minorities, in particular. As a result of my speaking out, my family in China have been threatened and I’ve been denied visas to work in China myself. But I refuse to back down – I want to use my platform to raise awareness. What are you hoping to get out of the Summit? Suppression is extreme in China, it’s so severe that during my childhood in the country I grew up believing that thinking for yourself was wrong – I even helped with indoctrinating fellow students with what the government wanted us to think. Only after I came to Canada did I realize how much I was brainwashed. Now my family is being threatened back home I realize the extent of the suppression. Doesn’t being a beauty queen open you up to criticism? Of course. Throughout my journey I have encountered a lot of people who look at me like ‘what can she possibly offer to this debate?’ But real power comes when you break through that stereotype and surprise people who have underestimated you. I do all my own research and meet with victims of whatever I am speaking about. I’ve never been afraid to stand up for what I believe in. I always refused to participate in the swimsuit part of the beauty pageant and in the past was awarded runner up titles. But putting pressure on organizers by saying I won’t parade in my bikini has paid off. This year they cancelled the whole swimsuit element and I won. I’ve used my platform to keep talking about what is going on in China. I’ve always spoken out for what I believe in.